Name: The Bonfire Texas 2018 - A Music Festival Gone to the Dogs! Welcome to the home of the Second Annual The Bonfire Texas - a music festival "Gone to the Dogs! ", Festival attendees will be treated to hay rides, fun kid games and activities, vendor fair, food trucks, wine & beer garden, sheep herding with ranch dogs, featuring Live Music from local Bellville favorite and first place Rodeo Rockstar David Lewis and his band from Bellville, Texas along with musicians Ken Gaines and Wayne Wilkerson blues duo and Jesse Raub Jr. Proceeds benefit All Border Collie Rescue and Houston Pets Alive. 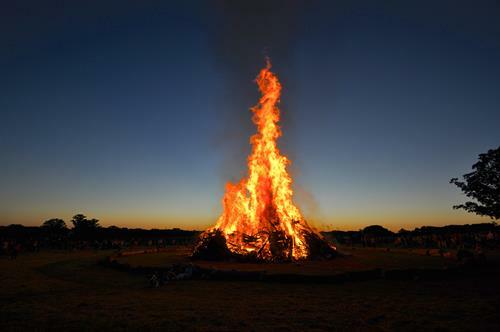 In addition to live music and dancing with David Lewis and his band, we’ll have a bonfire to gather ‘round, sing songs, make s’mores and settle into the ambiance of a nice Texas November evening. We hope you’ll come out and show your support for live music and animal rescue with the first ever Texas working ranch celebration, The Bonfire Texas, an experience we hope you’ll remember and want to write home about and tell all your friends! 6:30 p.m. David Lewis and his Band from Bellville, Texas – bring your boots and Dance!